Could there be an easier outfit to throw on for Saturday brunching and browsing? I think not. I absolutely cannot be bothered to wear binding clothing (especially heels) on my days off. Loose, easy clothing are a must for me - I simply will not sacrifice comfort on a Saturday. I love this outfit for weekend because it's definitely comfortable while still being put together enough to go just about anywhere. My first stop was a swanky breakfast (very 'ladies who lunch'), then antiqueing (very 'hipster'), then to Target (very 'grocery gettin''). This leopard print midi definitely earned nods of approval at all three locations and I never felt tired from 'carrying' the outfit. Comfort and class? I think we've got a mutli-tasker on our hands! Keeper! 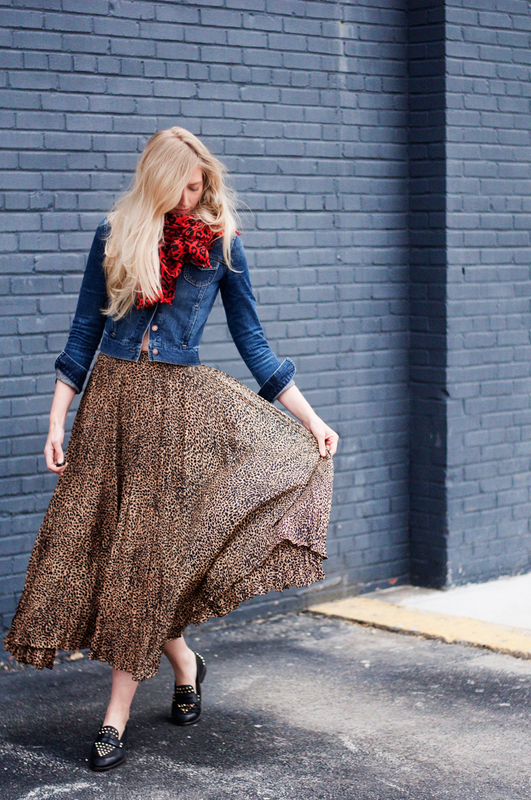 Read the thrift story behind the skirt!